At Canvas Etc., we proudly carry high quality 1680 denier ballistic fabric for all of your needs. This fabric is made from nylon and has amazing durability and strength. The fabric has high anti-abrasive properties, and it can withstand extreme conditions. 1680 denier ballistic fabric is synthetic and coated with polyurethane. This fabric will hold well against extreme temperatures and outdoor elements. Our 1680 denier fabric is mildew resistant and made to be protected against ultraviolet rays. The fabric is also waterproof, and it can hold well against a downpour. It is woven in a 2×2 basket weave style, so it has high-tensile strength. You can utilize this fabric for a multitude of projects and applications that require a sturdy fix. Upholstery: Protect your indoor and outdoor furniture in the ultimate way. This denier ballistic fabric can take any spill and any stress from daily wear. Duffle Bags: No one likes to buy a new bag every few years as a result of wear and tear. This fabric can outlast normal duffle bags and holds well against travel strain. Motorcycle Gear: Riding with good, tough apparel on is a great way to protect yourself when riding a motorcycle. With 1680 denier ballistic fabric for your motorcycle gear needs, you won’t have to worry scrapes and cuts from falling. 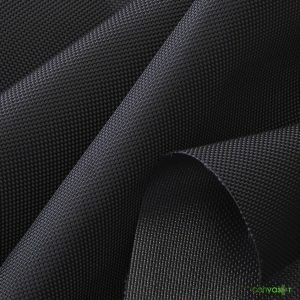 Kayaks: A unique and amazing alternative is using this ballistic fabric for the skin or cover of a kayak. Its waterproof properties and incredible strength matchup for any outdoor adventure! Be sure to check out our all of our 1680 denier fabric product offerings. If you have any questions, you can contact us for assistance.